General meetings are held at 8pm on the first Thursday of each month except January. 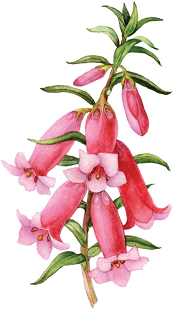 Membership fees: Single and Family $12 + Australian Plants Society Victoria membership fees. Aug 18 preview of Aug AGM and David Redfern presentation; membership renewals overdue; Meeting Report July 5 Vertebrate Pollination; Garden Visit: Research; Propagation Update; Join the committee!